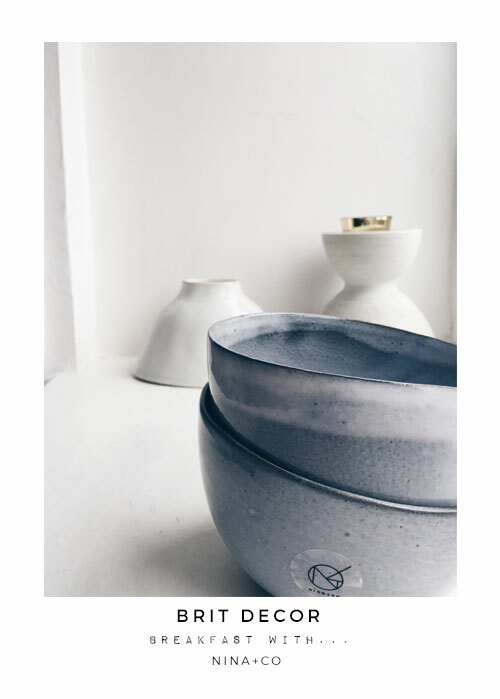 Not that I need to remind myself why I'm so obsessed with ceramics, but Nina+Co's recent collaboration, The Breakfast Collection with London-based design consultancy The Ceramicists, has got me totally swooning for breakfast here at the Brit Decor cottage. 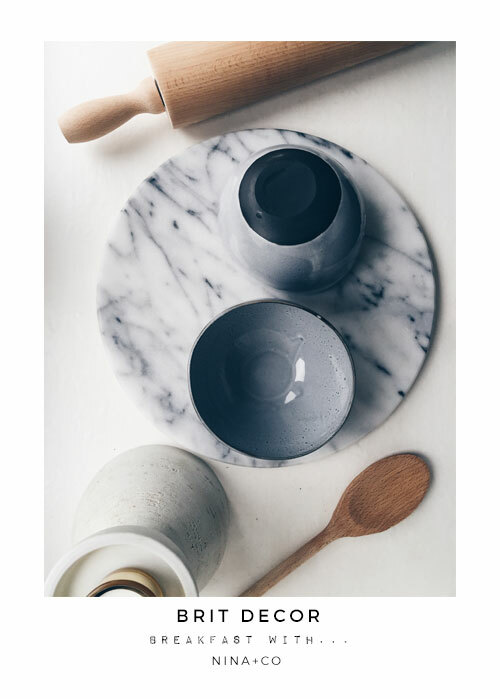 Comprising of a plate, bowl, mug, butter dish, and an espresso cup that also doubles-up as an egg cup - all of the hardware for a truly stylish start to the day - is right here. 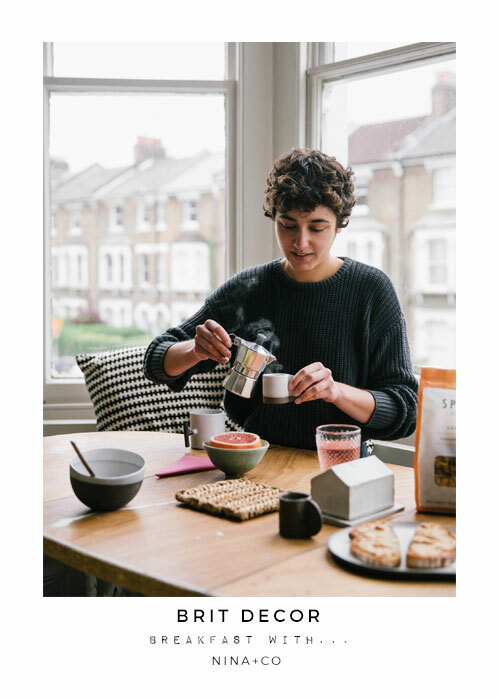 Designed and handmade in London, the entire collection of dreamy pastel blue tableware is lovingly made from responsibly sourced materials and batch-produced for maximum efficiency and a reduction in waste. With the clay ingredients sourced exclusively in the UK from Devon, Cornwall, Shropshire and Derbyshire, this is a British affair. 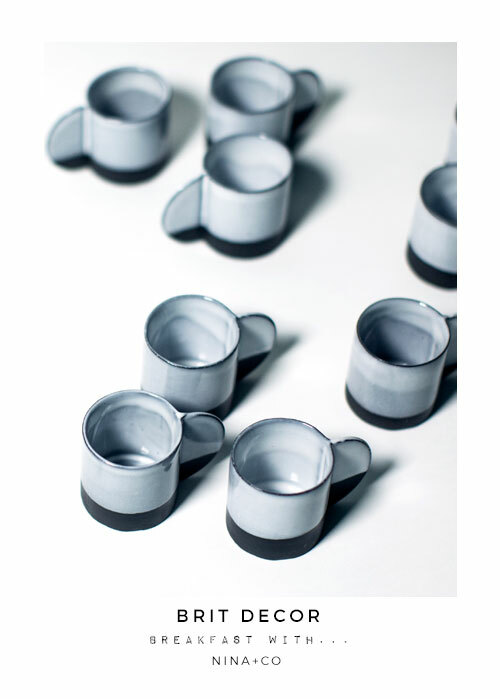 Born and bred in Camden to an Indian & Danish father and an Australian mother, Designer, Nina Woodcroft draws inspiration from her multicultural heritage - with her clean approach to design translating into stripped-back geometry and simple, honest forms. I'm all for a serving of artistry and simplicity at the beginning of my day! 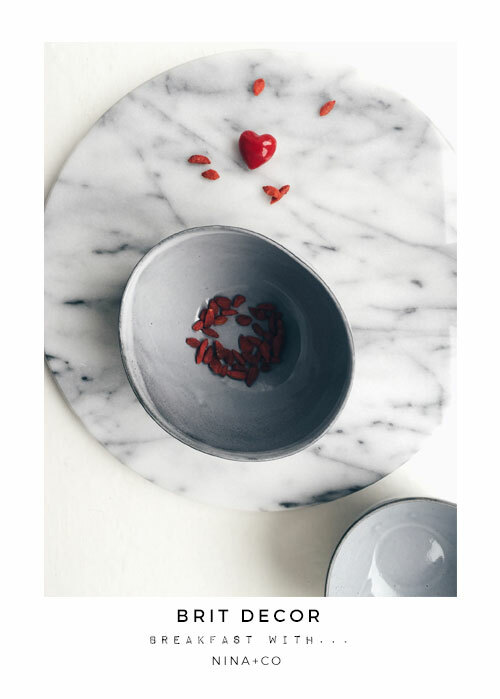 The bowls featured on Brit Decor are available from the Nina+co website and are priced at £22. Awesome collection mike, the bowls are very lovely. 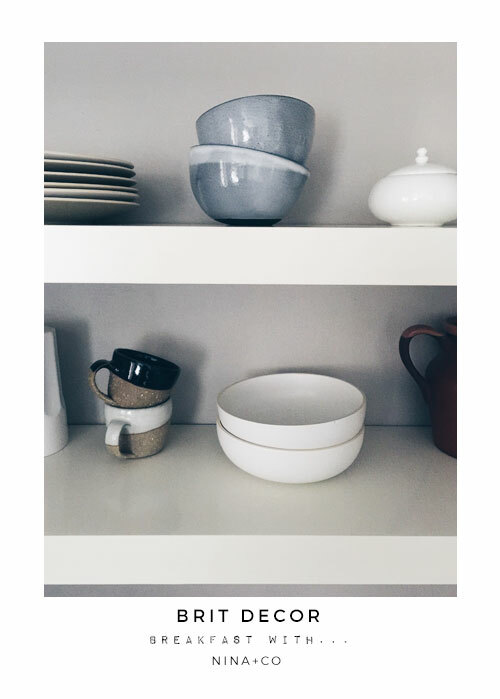 Brit Decor: Gets creative with Cheerz! 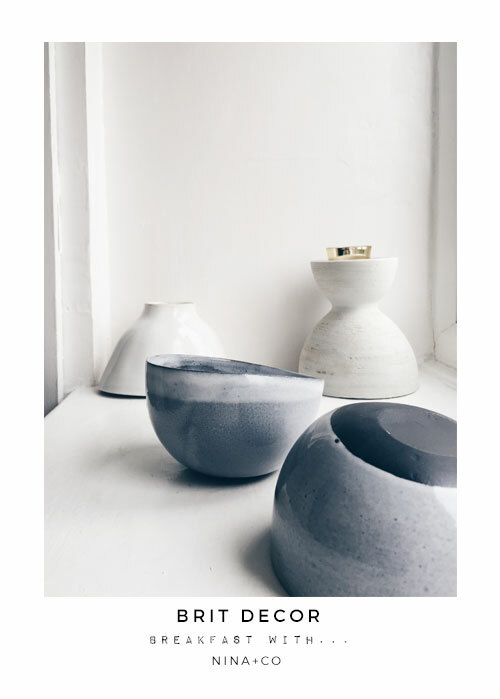 Brit Decor: Loves/ New Aura AW16 Collection!